Provide comfort for the family of Krishan Bajaj with a meaningful gesture of sympathy. 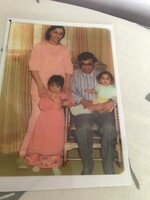 BAJAJ, KRISHAN KUMAR (Kris) April 22, 1935 - April 13, 2019 was born in Jalah, India and immigrated to Canada in 1965. He spent most of his life in Belleville, Ontario where he raised his family and was a Professional Engineer for 40 years. Beloved husband of late Renu Bajaj. Dear brother of Dr. Raj Bajaj (Veena), Krishna Bhalla, Dr. Nito Raizada, Kamlesh Batra (Amir), Vedi Pal (Kripal), and the late Rosy Chandra. 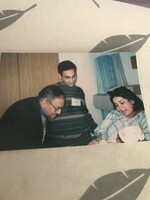 Predeceased by Dr. Narayan Das Bajaj. Caring father to Sandeep (Anuja Bajaj) and Meeta (Chetan Chadah). 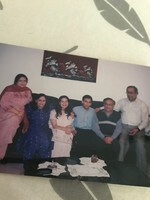 He will be sadly missed by his granddaughters Ananya Chadah and Asha Bajaj. Service is planned for Friday, April 19 (3:30 pm) at Lotus Funeral and Cremation Centre. In lieu of flowers, donations can be made to Diabetes Canada. To send flowers in memory of Krishan Kumar Bajaj, please visit our Heartfelt Sympathies Store. We encourage you to share your most beloved memories of Krishan here, so that the family and other loved ones can always see it. You can upload cherished photographs, or share your favorite stories, and can even comment on those shared by others. Provide comfort for the family of Krishan Kumar Bajaj by sending flowers. We were so sorry to hear about the father's passing. We hope that the love of family and friends will comfort and strengthen you in the days ahead. Our thoughts and prayers are with you during this sad time. He leaves behind a wonderful family and I know you will all be a great source of comfort and support to one another. My sincere condolensces to the beloved family of Kris Bajaj. Kris Bajaj was my father's lifelong friend from their Patiala University days in the 1950s . 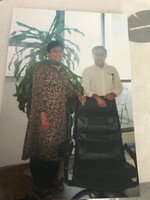 Kris attended the funeral of my late father on August 18, 2019 and his son Sandeep loving read his beautiful tribute to my late father for which i am eternally grateful. I feel sad that i did not followup with Uncle Kris since that time and see how life is too short and we must never miss the opportunity to connect with old friends and family. Love and Light , Raoul Bedi , son of the Late Yogendra Mohan Bedi , Rest in Peace . I first met Kris back in 1980 when working for a competitor of his employer. Over the years, we would run into each other at common customers or industry events. No matter what the situation, Kris with his superior technical knowledge and personable ways was always the consummate professional. Whether we were competitors, or as in later years, a customer, it was a distinct pleasure to work with him. On behalf of everyone at FLO Components Ltd., please accept our sincere condolences on your loss. Chris Deckert, President, FLO Components Ltd.